Today we went down Westend for some retail therapy so it had to be a comfy day. 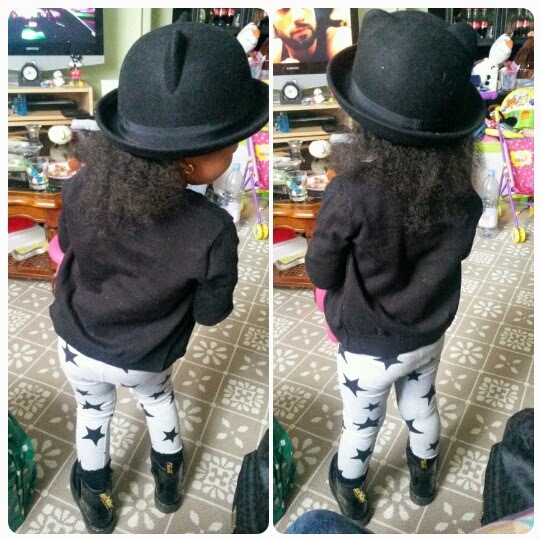 Yen didn't actually wear that hat today because it was too cold to wear her leather jacket ( that hat doesn't go with her other jackets) Anyways her hat is from H&M, her black cardigan and star print leggings are from Next. Yen is also wearing her Dr Martens.